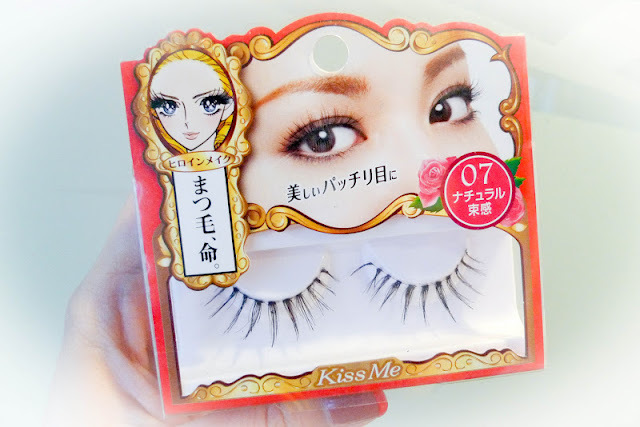 Originally bought them on a whim, I felt in love with the quality of Kiss Me lashes provided. 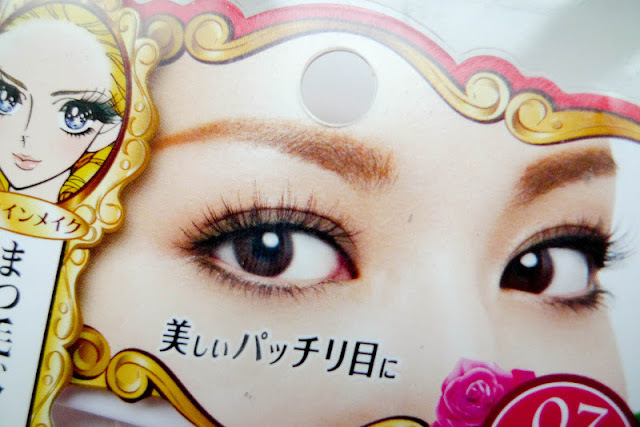 They are just as well designed and lightweighted as Dollywink lashes (review HERE), but a lot more sturdy! This is after 5 times of wear. You can see the lashes glue (I used Duo Dark) left on the lashes and they also start to crumple up. Not wearable anymore but not bad for $6. The quality are of one of the best clear banded lashes I've tried. Lashes that look like a fan of seaweed are no longer in trends, I was aiming for that pointy and separated bunchy lashes (more 2012!). 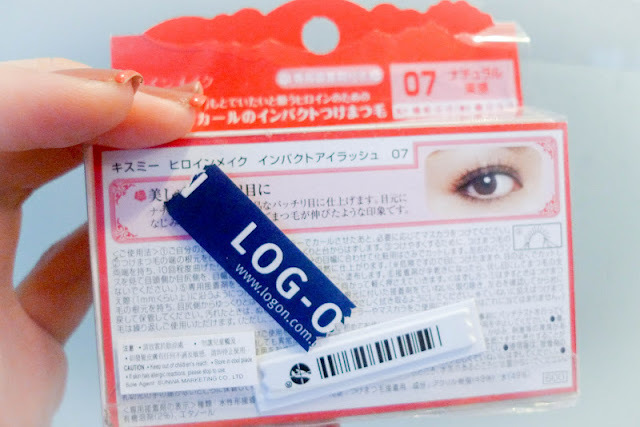 To further bring out the natural look and being closer to looking like those Japanese eyes shown on the packaging wtf, I tried something new and actually glue the lashes BELOW my own lashes. 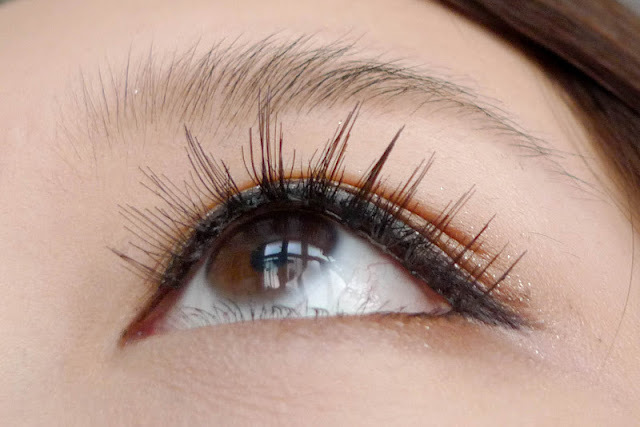 It is still noticeable that lashes are worn since they are quite long, but wearing them below my lashes not only makes the eyeline thinner and the band less visible, it also gives the eyes more dimension. 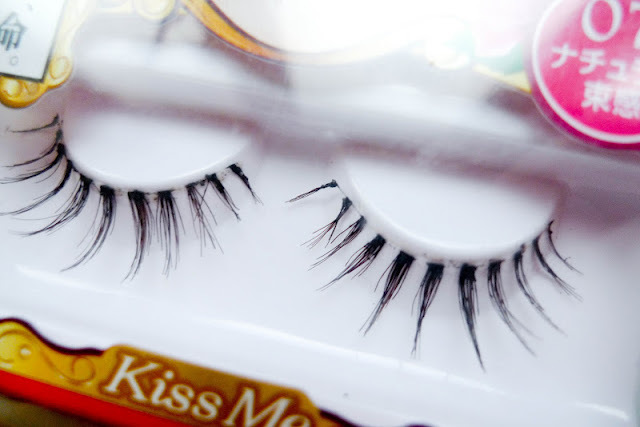 I have been obsessed with lashes lately. Not the seaweed ones but these kinds of natural ones. What do you think?